Skype group video calls, a premium feature that usually costs £2.99 ($4.90, AU$5.50) a month, are being given away for free this week. The offer is part of a promotion named the Skype Collaboration Project. To qualify for the giveaway, users simply have to enter their email address, where they will then receive a voucher code. Skype group video calls allow up to ten people to join the same conversation (though the company recommends a five-person call to maximise quality). Group video calls are often used in conferences or long-distance business talks, and is something that has made Skype as popular with companies as it is at home. Most organisations using Skype probably already have the relatively small subscription fee covered, but those that don't have the service have a chance to snap it up now. The offer from the Skype Collaboration Project also includes free group screen sharing - where users can display their activities on their computer to others - for presentations and collaboration. Users also qualify for free live customer support services and have an advertisement-free Skype platform. The offer may in part be down to rival video chat service Google Hangouts, released in May this year, already allowing users to make group video calls for free. Microsoft may perhaps be trying to tempt back customers who are migrating to its chief competitor's new service. 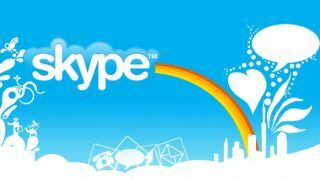 The Skype Collaboration Project is a venture by Microsoft to bring together the creative and technological industries and has had celebrity sponsors such as Victoria Beckham.